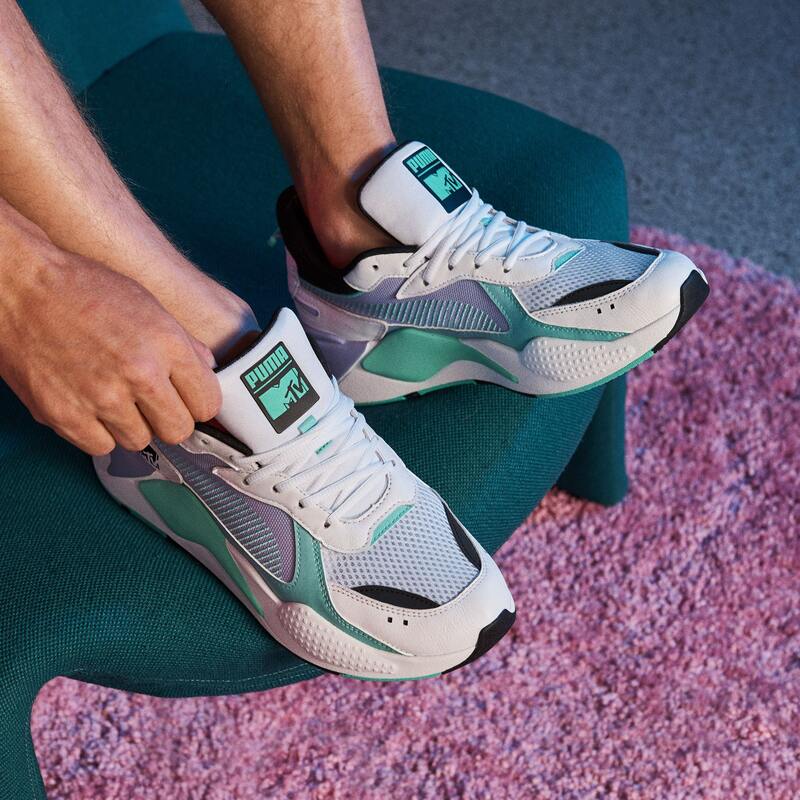 Initially launched in November of last year, the PUMA RS-X Tracks ‘80s tec trainer has been given an MTV-Gen upgrade for Spring 2019. 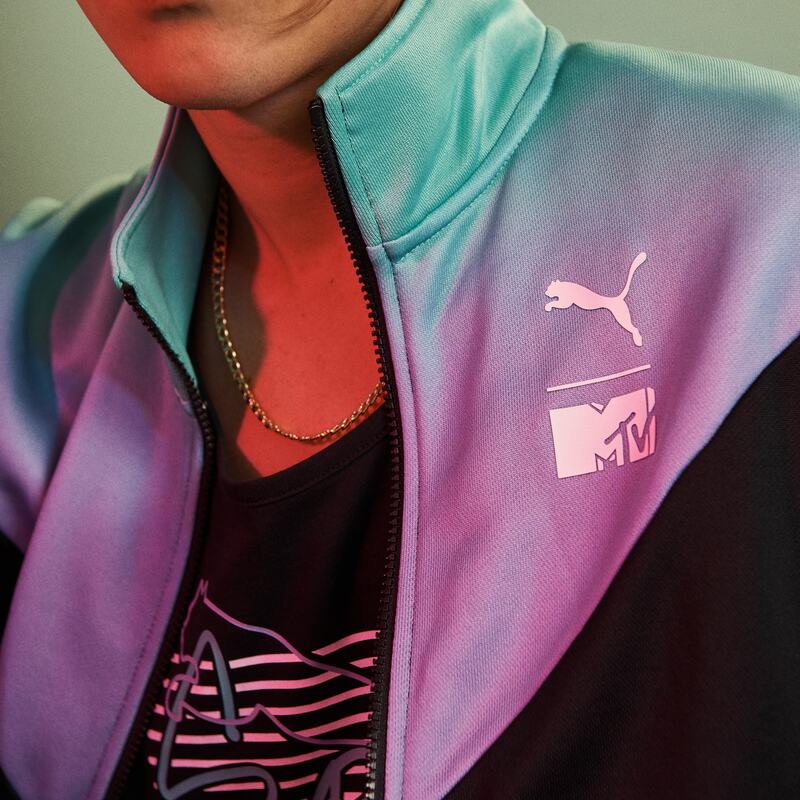 Influenced by the evolition of music in the digital age, PUMA have partnerned with MTV for the second time, previously releasing a Yo! MTV-Raps inspired PUMA Clyde shoe in 2006, and now for a clothing and shoe range. Released in two colourways, the new model features an assertive future-retro design with a bulky silhouette and bold neon accents, playing to the hyper-speed of the reinvention of music culture. The shoes feature a mesh and textile upper, RS-X Tracks and subtle leather overlays. Fitted with the OG RS technology on the midsole, the sneaker is embossed with a textile heel piece and molded sock-liner with RS PUMA branding. The shoes are teamed with a matching apparel line of t-shirts, track tops and shorts, all branded with the graphic PUMA x MTV logo. Available at puma.com, PUMA stores and retailers from March 14th. Follow @PUMASportstyle for release information.